Our group classes are offered mornings and evenings, weekdays and weekends. Once you become a member, you can download our app to easily schedule your workout. Six different workouts a week for six weeks. Learn strategic ways to challenge your body to tolerate higher intensity strength and conditioning. Each skill used in the training circuits has multiple levels of progression designed to fit your current abilities and proportions. Master bodyweight and kettlebell exercises to improve your strength, agility and overall athleticism. The proverbial rabbit hole of movement exploration. 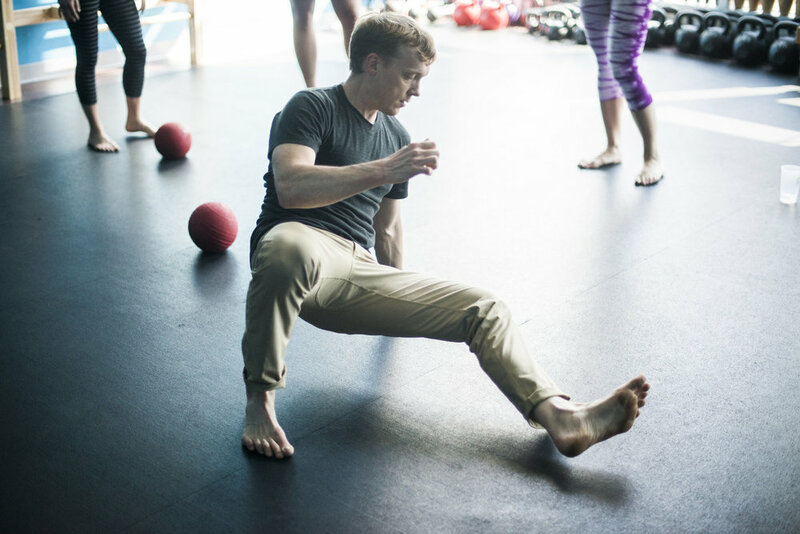 You are at the mercy of the instructor to explore other movement systems and even break down skill to its smallest components. This is our lab time to explore running mechanics, martial arts, Indian club swinging and even handstands. Come in for a free consultation and get MÜVing.